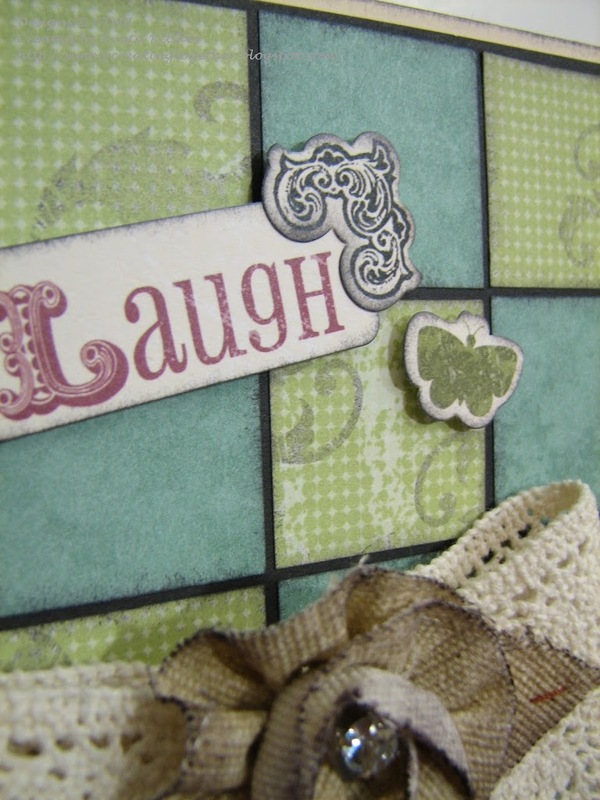 Welcome to another Stamp-of-the-Month blog hop! If you came from Helen’s blog, you are on the right track. Just keep hopping until you get back to where you started. I’m excited to share my two projects with you. Aren’t those flourishes beautiful? I’m sure you’ll be seeing a LOT of brand new products on the hop, so I decided to dive into my old paper to try using it up. I also decided to make the images blend into the background instead of standing out. I like the subtle texture and interest they give. 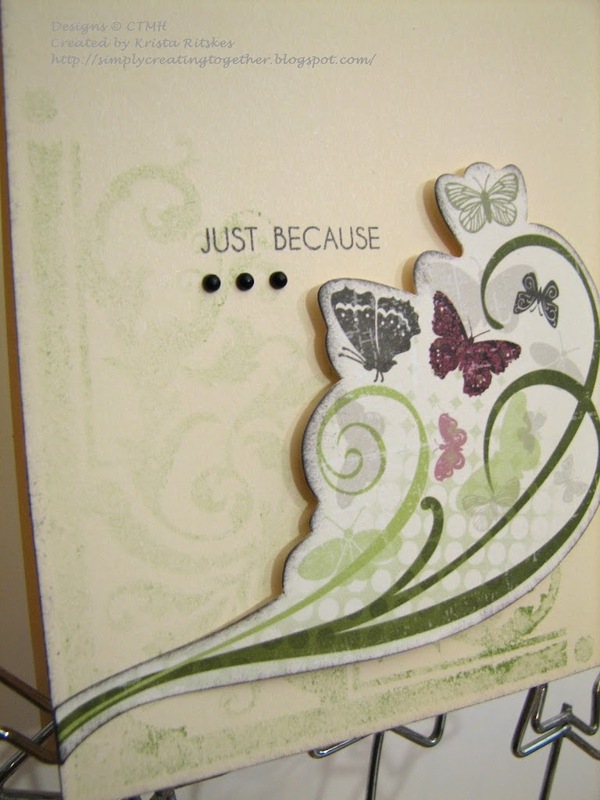 For my first card, I stamped one of the big corner images with Topiary ink using the second generation technique. I love the way the ink didn’t come off evenly! Then I pulled out my Wings Stickese, powdered the back of one, sponged the edges in Black and popped it up. Then it was a quick sponge around the edges of the card, a stamp from the Card Word Puzzle set, 3 black Opaques, and I was done. And a close up to see that gorgeous stamp a little better. I used some scraps of paper, arranged them in a grid then removed the Juniper pieces. 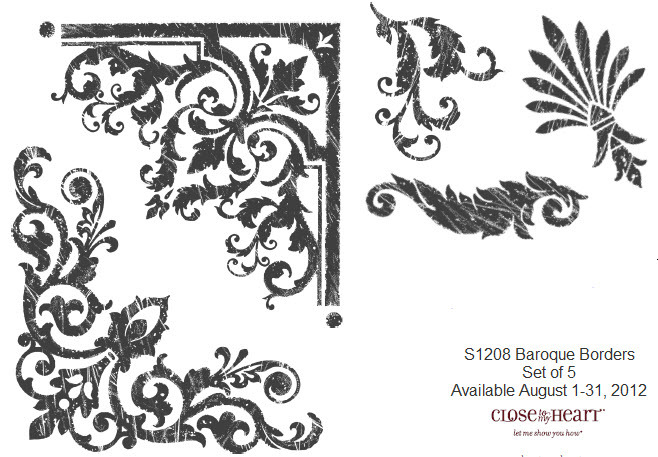 I then stamped the small flourish, in second generation, in a random pattern, getting just little bits of the squares. 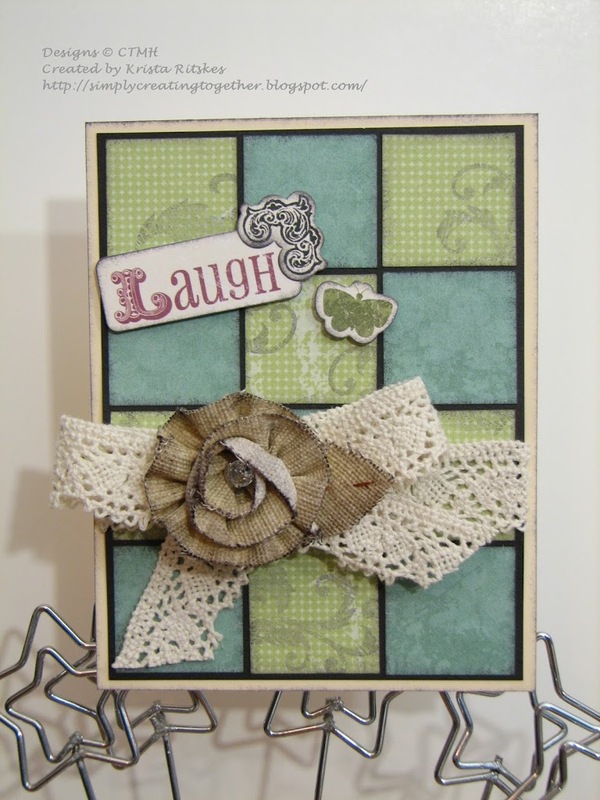 I added some more of those Wings Stickese and lace from October Afternoon along with a burlap flower from Prima. Everything has been sponged with Black ink as well. Here’s a close up so you can see the stamped images better and all the layers. And now it’s time to keep on hopping and enjoy the artwork that Adeline has for you. 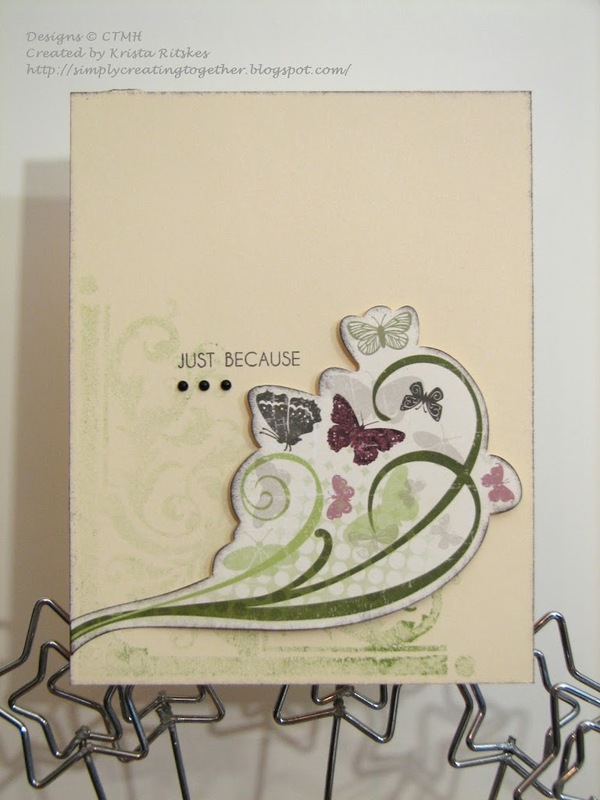 Very pretty cards Krista! Have to love using up the stash!! Now you’ve made room for more new fall products! i love the wings card! Very nice use of the stamp! I like it a lot! Nice cards! Great reminder to use up all those little leftover bits. Quick and easy – my kind of cards!